Germany, Denmark – Ferrari electronic AG., is a German manufacturer of software and hardware products for Unified Communications including high reliable call recording solutions, located in Berlin. Scantalk ApS, is a Danish service-oriented UC software developer based in Farum. Today the two companies announced a technology partnership to deliver a seamless call recording experience through a deeper integration into customers’ telephony infrastructure. As part of the agreement Scantalk will deliver CTI software and support services for Ferrari electronics’ CallRecording solutions in order to integrate with major telephony vendors like Avaya, Cisco, Alcatel Lucent and Panasonic Enterprise. More vendors are expected to come accordingly to the demand. OfficeMaster CallRecording product line offers companies a professional and reliable solution for call recording. Different hardware and software components allow organizations to set up their own legally secure in-house call recording, perfectly adapted to their premises and requirements. Recording of internal communications via SIP-based IP telephony, as is increasingly common in call centers and companies, is supported. Special care was taken to ensure usability and easy installation, so that smaller companies can utilize the solution. Centerpiece of the solution for traditional analog and ISDN telephony is a handy hardware component. “It is a major step forward for Scantalk. Partnering with Ferrari electronic is a clear confirmation that we’re on the right track, developing technologies that add direct value and solve customer demands” says Keld G. Hansen, Scantalk’s CEO. Scantalk’s CTI Connector is a windows-based middleware, backed by more than 18 years of experience developing TAPI/CSTA interfaces, supporting dissimilar Telephony systems like Avaya Aura, IP Office, Cisco UCM, Alcatel-Lucent OmniPCX Office and Enterprise, innovaphone PBX, Panasonic PBX, etc. “CTI integration is mainly development services. Supporting a long list of vendors and models, each on different software releases using dissimilar protocols or interfaces and with the added complexity of customer particular applications demands. This is a beautiful chaos we love to deal with” says Wilbert Zapata, Scantalk’s Business Development Manager. 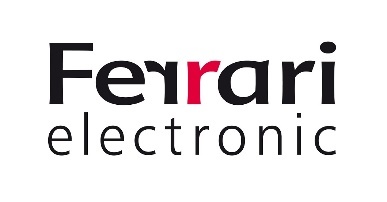 Ferrari electronic is a leading German manufacturer of hard and software for Unified Communications. The OfficeMaster range integrates fax, SMS and voicemail into all existing email and application systems. The hardware seamlessly connects a company’s telecommunications infrastructure with the existing information technology. Customers benefit from greater efficiency and streamlined business processes. In August 2014, Ferrari electronic acquired innoventif Ltd. and thereby expanded their portfolio by the EyeSDN call recording solutions. Thus call recording becomes an integral part of Ferrari electronic Unified Communications solutions. Research, development and support of Ferrari electronic AG are located entirely at the company’s headquarter. A pioneer in computer-fax since 1989 Ferrari electronic remains market and technology leader in this area to this day. Today, more than 50,000 companies with approx. 5 million users utilize Unified Communications products by Ferrari electronic. Scantalk develops and markets a range of functional and service-oriented standard applications under the common name TeamView® Application Suite. In addition, activities around consultancy and development of advanced customized CTI solutions. TeamView® application Suite is designed to provide extensive support to employees who have daily contact with customers and partners. The Suite is composed of dedicated client applications for switchboard, client applications for other customer-facing staff (e.g. contact center), client applications which can be usefully applied by all employees and finally a group of service applications that integrate client applications with other systems, applications, databases and communication services. 2017 are ending; it has been the best years ever. We have accomplished a lot together and you have all contributed greatly to our success. We have welcomed new people to our team and some have ventured off for new challenges. What we proudly can say is that our team is stronger than ever and new opportunities have inspired us to reengage our agent for business in EMEA and LATAM in general. We have also welcomed more new partners this year then we have done before. 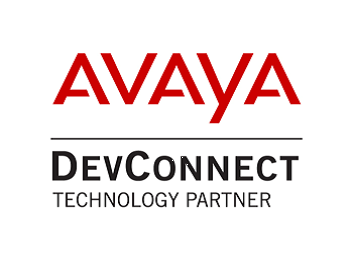 We are proud to say that especially in the DACH many new interesting partners have joined: AVAYA with their direct business, AVAD as distributor for Austria and Switzerland and ComTel, PCS and SIP Connect and partners in DACH. 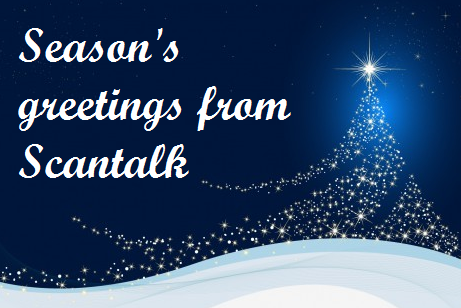 Because of this we have extended the Scantalk family with Scantalk GmbH in Hannover. In 2018 we will start build our team and to have German staff available to service our German speaking customers and we have high expectations for the German, Austrian and Swiss Market. A lot have happen on our products and more partners now offer our solutions on Cloud too to support new ways of business. We have also managed to extend our line of business with Guest registration solution and Unified Operator is now truly established as a market leading product for Operator Consoles in EMEA. 2018 is looking to be even better and we are sure that more partners and team members will join. All of this could not have happen without you and we are proud of your trust and support. Thank you very much see you all in 2018. Kennen Sie schon unseren DevConnect Partner Scantalk? Scantalk und Avaya arbeiten bereits seit mehr als 15 Jahren zusammen und seit 2007 hat Scantalk den Partnerstatus „gold“ inne. In den vergangenen Jahren, ebenfalls ab 2007, wurden die Produkte von Scantalk mehrmals getestet, das letzte Mal im Mai 2016. Scantalk’s TeamView Unified Operator ist das zweite Produkt in Scandinavien, um den Avaya DevConnect Compliance-Test mit der Avaya IP Office Server Edition Release 9.1. erfolgreich abzuschließen zu können. TeamView® Unified Operator ist ein Unified Communication Client, der Mitarbeitern die notwendigen Informationen zur Verfügung stellt, um mit Hilfe der Attendant Console-Funktion die Telefonkommunikation eines Unternehmens zu steuern. Our Wallboard for Avaya Communication Manager also have gone through a finishing touches, which means that the new version can display an unlimited number of queues, and to put its own unique embossing on the style, and how to appear on a screen. We participate as a Platinum partner and has 2 slots of 30 minutes. duration, where you can hear about our products and generally about Scantalk . There will also be an opportunity to have presented some of our products in a live set up at our booth. You can read the full invitation and sign up here. 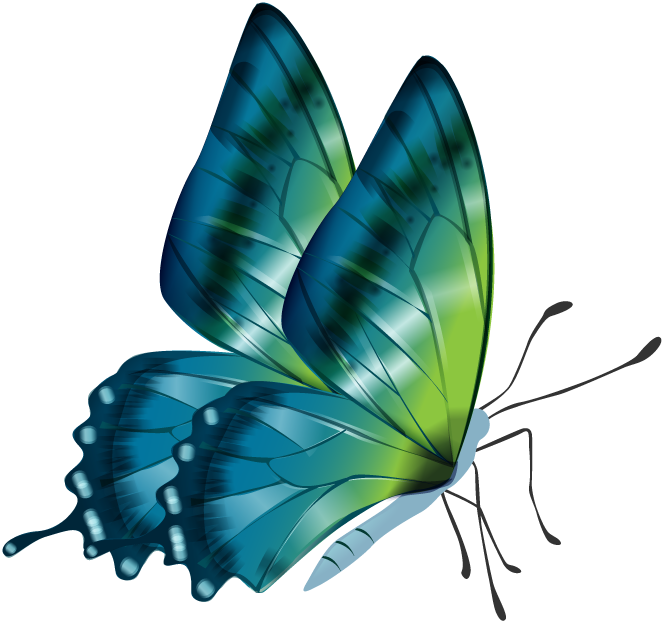 TeamView - Smart Directory is a Company Directory based on HTML5. This is the future of Mobile Applications; forget about installation apps, you do not need to install anything, just use it. TeamView - Smart Directory makes life easier. You can find your colleagues and see online phone and Calendar status. By just swiping you will get access to dialing and messaging. You can search in the whole directory or browse through Departments. The Application is easily added on top of your existing TeamView applications and takes only a few minutes to deploy. When installed, you can take advantage of the features in the application: Change your forwarding, Change your DND and Login / logout of hunt groups (AVAYA IP Office). We are proud to announce that we have sucessfully finished the implementation of support for OpenAPI on AVAYA IP Office 10.1. TeamView Status Server Version 3.0 is backward compatible with TeamView Unified Operator version 1.2 and 2.0 and TeamView Office Manager 2.1. The new interface opens up for improved support for multi-site implementations. With the new interface, it is no longer necessary to have a local status server since the solution now can connect with up to 64 servers from one site and you can save installation time and Windows licenses. This is the first step with the new interface and in the next release 3.1 we will also be able to present OneX Portal presence. The new version 3.0 (special in the bundle package with PostgreSQL) the installation time is reduced since the longtime with installing TAPI. Contact your local partner for an upgrade. For Resellers contact our support or sales to try out the new interface. 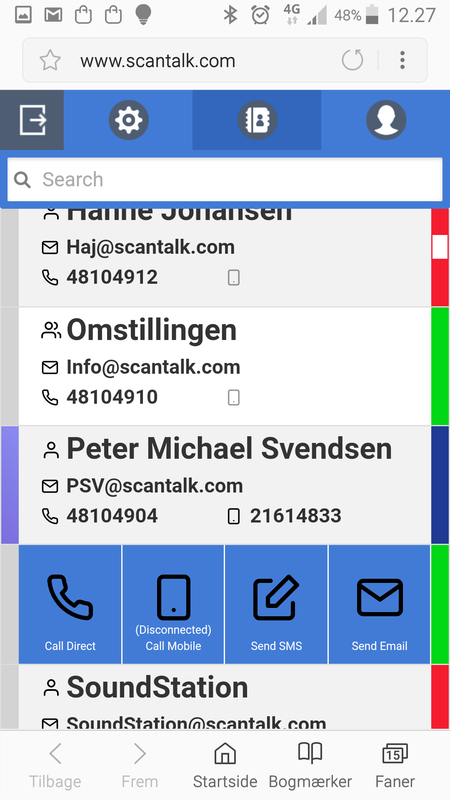 Scantalk is happy to be able to provide our new Web Phonebook, with a splendid new design and improved features. Web Phonebook is a web application, that simplifies and streamlines the process, when an employee searching for a colleague, based on a brief information. It complements very well to our other TeamView products, since you can view the same status information such as telephone-, mobile-, and calendar status. In addition, it supports “click to call” which makes it easy to contact the paged person. Our partnership with Westcon is gathering pace, which means that there are more inquiries on our Team View products to Avaya IP Office. This is why we, the last quarter, spent some time customizing the switchboard, from the inquiries that have come. Therefore, we believe that we have the right product at the right price that matches the IP Office very well.